Children and tweens are less likely to have disturbances in body image, often seen as the hallmark of an eating disorder. Thus, a parent whose child loses weight and shows less interest in eating, but doesn’t express fear of being fat, may be thrown off course. Young patients with eating disorders are more likely to be male than older patients with eating disorders. Younger patients with eating disorders are also less likely to report bingeing or purging and are less likely to have tried diuretics or laxatives to lose weight. A diagnosis of avoidant restrictive intake disorder (ARFID) is also more common in younger patients. 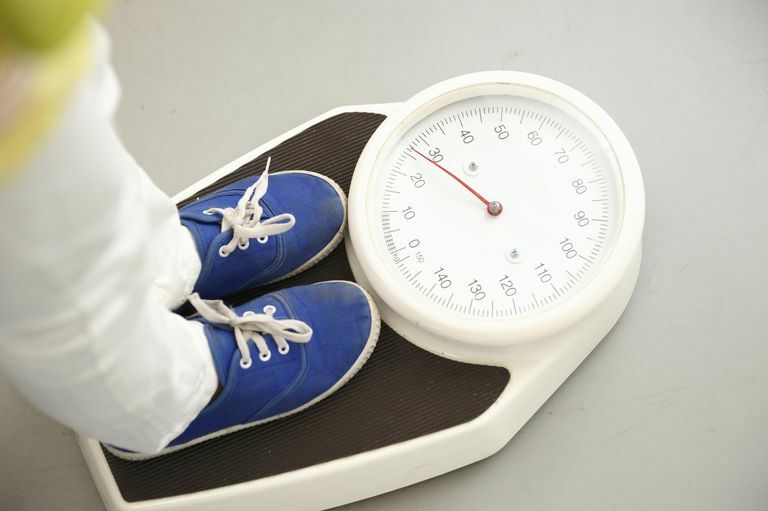 Instead of rapid weight loss, younger patients may present with failure to make expected gains in weight or height. Children and adolescents who start out in higher weight categories may develop eating disorders and are at risk for delayed diagnosis. Any weight loss in a growing child is not normal and should always be a cause for concern and exploration. Exercise, a common symptom of an eating disorder in older teens and adults, may also appear different in children and tweens. Younger people are less likely to engage in goal-directed exercise such as running or going to the gym. Yet, they may exhibit behaviors that look like hyperactivity such as running around, pacing, and refusing to sit when others do such as while watching television. While older teens may give an explanation of dieting for the reasons they are not eating particular foods, children and tweens are less likely to give a coherent reason for their refusal to eat certain foods. They may just start rejecting certain foods or complain of stomach aches. This can also throw parents off the track. Eating disorders are serious and can cause potentially dangerous medical consequences. A child who suffers from anorexia nervosa, bulimia nervosa, or any other eating disorder could suffer malnutrition, injuries to internal organs, embarrassment, depression, and damage to the teeth, esophagus, gums, and more. Death is also a possibility. Other less specific symptoms sometimes noticed by parents before their children were diagnosed include anxiety, changes in sleep patterns, social withdrawal, mood swings, depression, angry outbursts, irritability, and physical symptoms (such as dizziness or stomach pain). If you suspect your child is displaying signs of an eating disorder, you'll have to take action. Discuss your concerns with your child, but be aware that many children and tweens with eating disorders will not admit there is a problem even when there is one. Either way, next share your concerns with your child's pediatrician. Also, consider consulting a mental health professional who specializes in eating disorders for advice and support. Be aware that not all pediatricians are adept at spotting an eating disorder in its early stages. Thus, even if they reassure you that everything is okay and you remain concerned, trust your gut and continue to seek guidance and observe your child. If your child is diagnosed with an eating disorder, be aware that there are many different treatment options. Research these options carefully. Early diagnosis and treatment lead to the best chances for long-term recovery. Campbell, Kenisha, and Rebecka Peebles. 2014. “Eating Disorders in Children and Adolescents: State of the Art Review.” Pediatrics 134 (3): 582–92. https://doi.org/10.1542/peds.2014-0194. Peebles, Rebecka, Jenny L. Wilson, and James D. Lock. 2006. “How Do Children with Eating Disorders Differ from Adolescents with Eating Disorders at Initial Evaluation?” Journal of Adolescent Health 39 (6): 800–805. https://doi.org/10.1016/j.jadohealth.2006.05.013. O’Toole, Julie. The Very Young Child With Anorexia (October 21, 2013). Kartini Clinic Blog.